…How do you know if you should get back with an ex? Read more. Even though David Arquette has remained close with his celebrity ex Courteney Cox, he doubts that he will be attending her upcoming celebrity wedding to Snow Patrol band member, Johnny McDaid. According to UsMagazine.com, Arquette said about his relationship with Cox and her fiance, “We are all very tight and very close and very supportive of everyone.” These two celebrity romances have proven that, even among the stars, friendship with exes is possible! Celebrity romances don’t always end in drama! What are some ways you can also remain supportive of your ex post-split? Impressing the parents is quite the feat, but Courteney Cox has certainly mastered the art of making a lasting impression. Cox’s fiancé Johnny McDaid’s mother Pauline McDaid gushed about her daughter-in-law to be. Pauline shared that the Cougar Town star is extremely empathetic and that she feels like a part of the family. According to UsMagazine.com Pauline said the pair are happily in love, and can’t wait to be married. What are some ways to impress your partner’s parents? How do you know when your relationship is ready for marriage? According to UsMagazine.com, David Arquette approved of his ex wife’s new boyfriend on the Wendy Williams Show. “He’s amazing. Great guy,” he said about Johnny McDaid. Arquette and Courteney Cox finalized their divorce last May after 13 years of marriage. Arquette is expecting his second child with girlfriend of two years, Entertainment Tonight correspondent Christina McLarty. How do you remain civil with an ex? Courteney Cox and David Arquette may have separated back in 2010, but the ex couple still maintains a positive relationship with each other. Cox, 49, even talks about her ex in a friendly way, going on to reportedly say she wants him to be happy. The once lovers have both moved on as Arquette is expecting a baby with girlfriend Chrisina McLarty, while Cox is linked to musician Johnny McDaid. Although the two have one of the most amicable splits in Hollywood, according to People, Cox still notes the difficulty of divorce. She mentions how having a daughter together, Coco, 9, helps them keep their priorities straight, as they want what’s best for her. 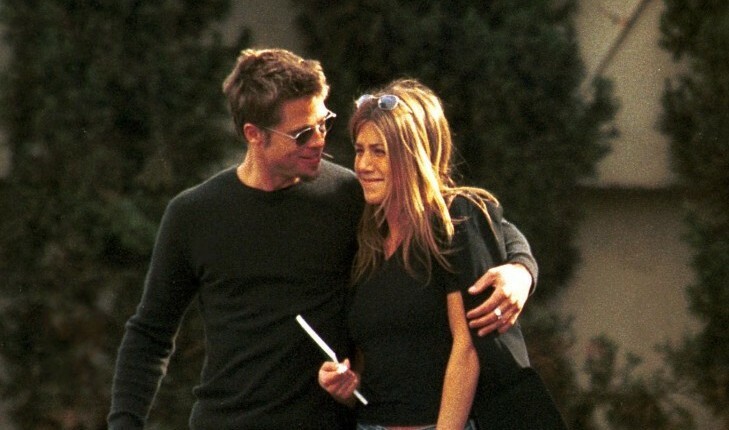 Cox also relies on friends such as Friends costar Jenifer Aniston for support. What are some ways to remain amicable with your ex post-divorce? …Curious to know more? Click here. Breakups are hard. Divorce is even harder. Some are nasty, while others end amicably, but even so, for some couples transitioning from ex lovers to buddies just isn’t possible. Many celebrity partners have gotten married over the years, and not all of them have worked out. However, some pairs have managed to go from being in a romantic relationship to remaining friends. Here are Cupid’s top 5 celebrity ex couples who still remain friends to this day. …Want to find out? Click here. According to UsMagazine.com, Courteney Cox was photographed attending Jennifer Aniston’s party with a date Sunday, Dec. 8. Snow Patrol rocker and the former Friends actress were spotted driving up to the party together. Cox was previously linked to Cougar Town costar Brian Van Holt in June. How do you introduce your new partner to family and friends? Courtney Cox is now officially dating Cougar Town co-star, Brian Van Holt. 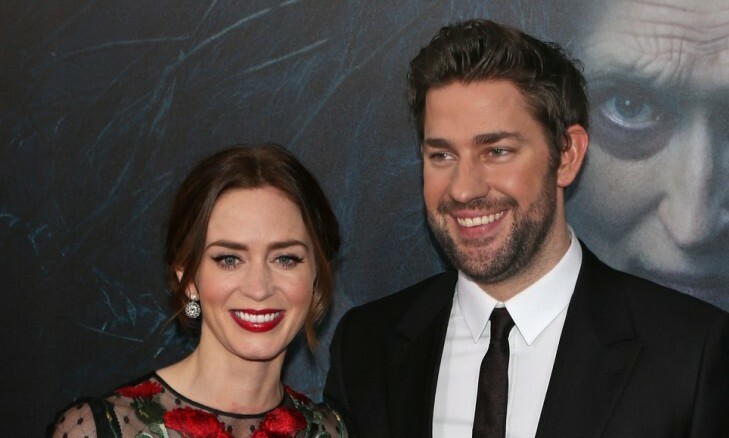 The two reportedly found love while playing each other’s ex on the TBS series. A source confided to UsMagazine.com that the pair have been going out for six months. According to the source, Cox feels more comfortable discussing her relationship with Van Holt now that her ex-husband, David Arquette, has found new love in girlfriend, Christina McLarty. What are some reasons to keep your relationship under wraps at first? How do you know when to start dating again after a divorce? Lovers cannot be friends until both parties have a new lover. Many factors come into play with regards as to whether you can remain friends with a former loved one. Did the relationship end on good or bad terms? If the two of you merely grew apart and perhaps the physical intimacy died in the relationship, then you may have already started developing a friendship within the relationship. It is far easier to continue an already-established friendship post-breakup. However, if one of the parties did something immoral or unethical and hurt the other one deeply, the chances are certainly much slimmer. …Don’t miss the rest! Click here for more. While taping an episode of The Ellen DeGeneres Show, actress and Courteney Cox said that, despite their recent divorce, she and ex-husband David Arquette are on excellent terms, according to UsMagazine.com. Since announcing their separation in October 2012, Cox, 48, and Arquette, 41, have remained friends throughout the entire process. The Cougar Town star and Arquette have a daughter Coco, 8. Although Arquette is dating Entertainment Tonight’s Christina McClarty, Cox remains single. The two have requested joint legal and physical custody of their daughter and the removal of Cox’s surname. Cox does not recommend divorce, but she says that she appreciates David even more and that they both have grown through this experience. Arquette will remain an executive producer of Cougar Town, which will now move from ABC to TBS this Tuesday. What are some ways to tell you’re better off as just friends with someone? What are some ways to keep things between you and an ex civil? Since her separation from ex David Arquette, Courteney Cox has been slow to move on. In fact, she recently stated that she hasn’t slept with anyone knew since the split. Last weekend, however, Cox was caught with a mystery man in West Hollywood at Chateau Marmont, according to People. The man wore a suit, and the couple were situated in a table toward the back of the patio. An onlooker says that the actress was smiling and pulled her hair up into a ponytail as she enjoyed the evening. How do you know when it’s time to move on after a separation? Is it OK to work with your partner after a split? Courteney Cox’s involvement with Cougar Town costar Josh Hopkins is too complicated for daughter Coco to comprehend, reports UsMagazine.com. “[Coco] shouldn’t watch Cougar Town, but she does,” said Cox. “She’s always like, ‘Mommy! Did you really kiss Josh? And I’m like, ‘I’m just faking it! '” Though Cox and Hopkins were seen vacationing together with Coco in March of last year, both deny a romantic relationship. What are some ways to explain moving on after a split to your child? How do you know when you’ve permanently entered the friend zone with someone?